Not much information is known about the elusive rainbow unicorn. Few people have ever been able to witness one in the wild, but we know that it’s some sort of equestrian animal with a horn that has intense magical powers that induce large amounts of happiness in anyone who lays eyes upon one. Anything other people tell you about the rainbow unicorn is merely hearsay, however, we’re willing to take a guess that unicorns sleep quite soundly at night. There’s only one way for you to truly find out though and you’re going to need this rainbow Kigurumi costume for adults. The Kigurumi costume is a Japanese style pajama outfit that’s designed to look like your favorite animals and cartoon characters. This particular one has you looking like one colorful and cozy quadrupedal creature. 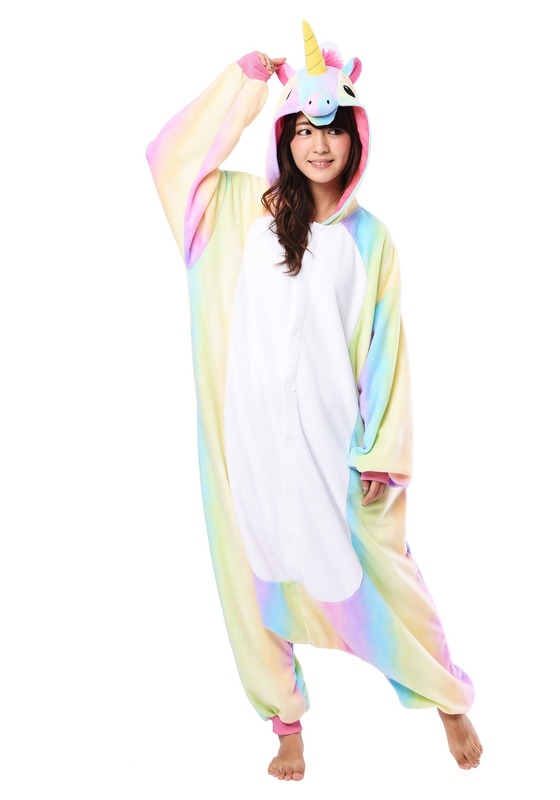 It’s made of an ultra-soft fleece material that’s as comfortable to sleep in as it is to wear on the magical unicorn adventures that you’ll be having while wearing it. It buttons up in the front and has plenty of pink, purple, yellow, green and blue colors flowing through the exterior of it. The hood has a unicorn shaped head and even has a soft plush horn sticking up on top. 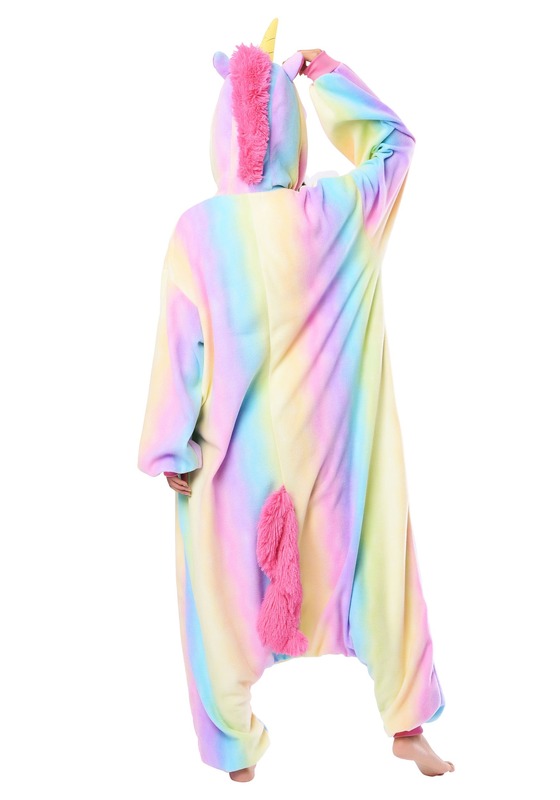 Once you have it on, you can see for yourself just how comfy it is to nap like a unicorn. You just need to find your favorite place to nap, usually in the middle of a sun dappled meadow with the calming sounds of a babbling brook nearby. Of course, your couch also makes for a nice substitute when the nearest meadow is a bit of a walk away!